Remember that class I taught in the spring? Well, I finally bound the sample quilt. About time, don't you think? Round the World finally has its binding finished. I have finally finished the Round the World quilt. It is now on my bed and I love the finished product. 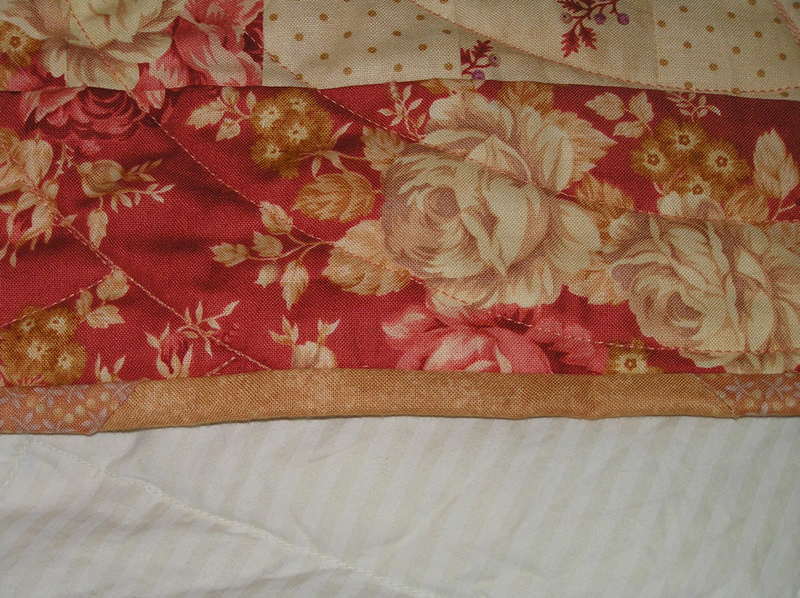 I used up all of my scraps on the back of this quilt and I ran a little short on my binding fabric. I had to improvise with a small piece of another fabric It is a close enough match that it doesn't look too bad. I guess I should have ordered another little bit. 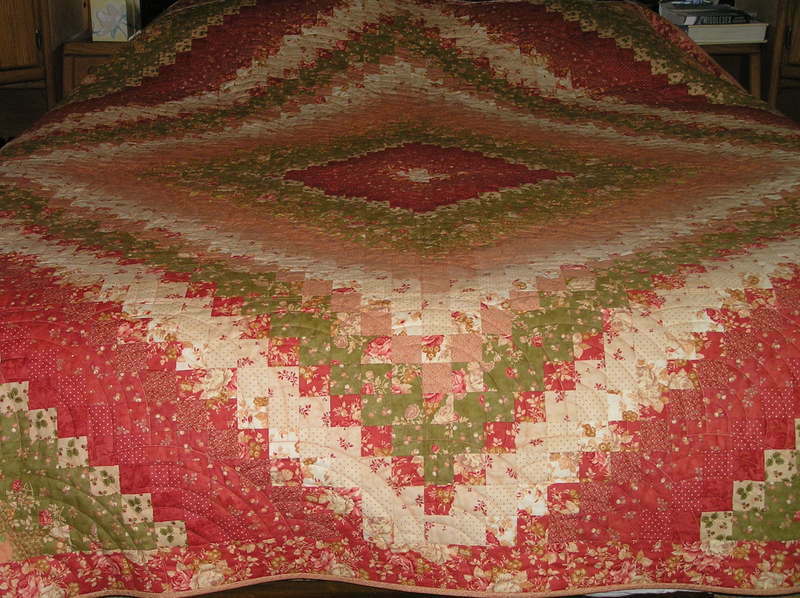 FINALLY, I decided on the border for this mennonite quilt. I put a very small green border on both sides of the zig zag border along with a green binding. I didn't like the way the corners were turning out so I put a red cornerstone in there. 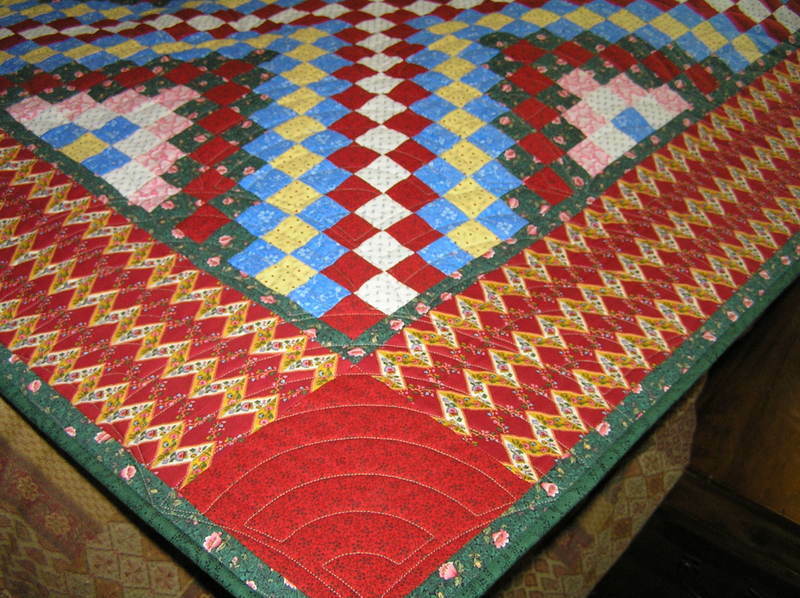 It is quilted with a baptist fan pattern which ties all of the colors together. I am happy with the end result. 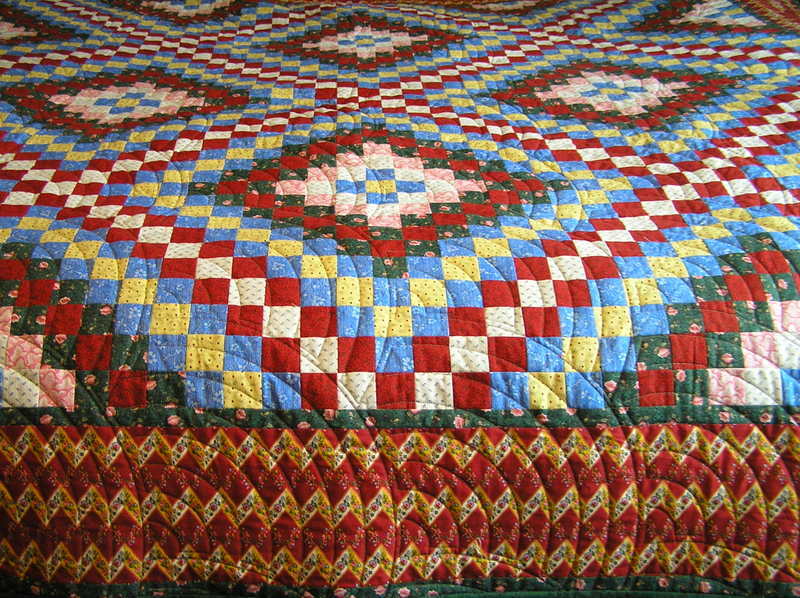 It is such a bright and happy quilt and I am happy it is finished. 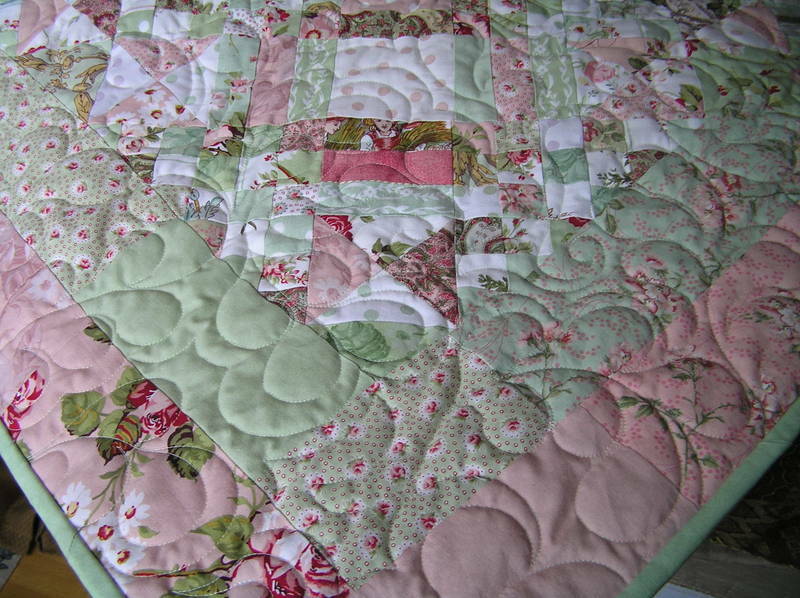 FINALLY, I put the binding on the quilted Carolina Crossroad quilt. It is complete now and hanging on the quilt rack. 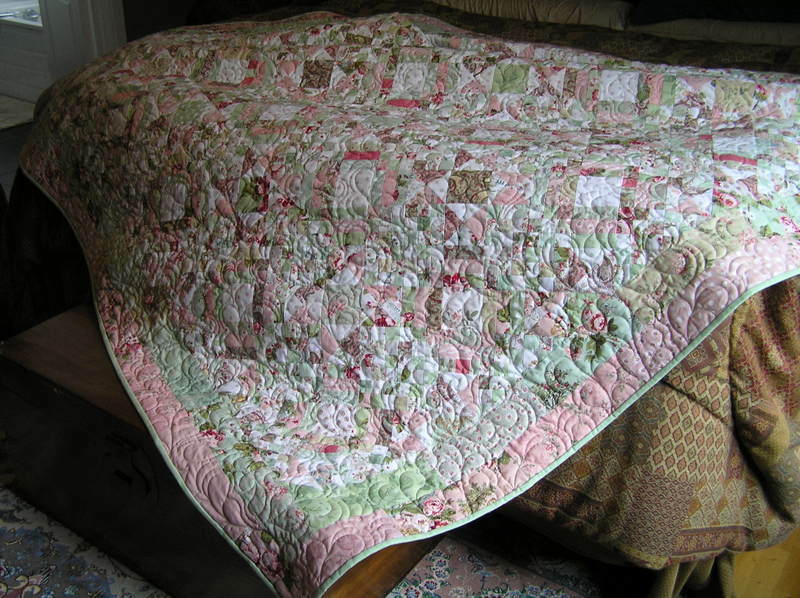 I am happy with the result and it is a bright, springy quilt that will always remind me on a dark, dreary winter day, that Sring is around the corner.